The servers for Microsoft’s world-building title Project Spark are due to completely shut down by August 12, the game’s community manager has confirmed. 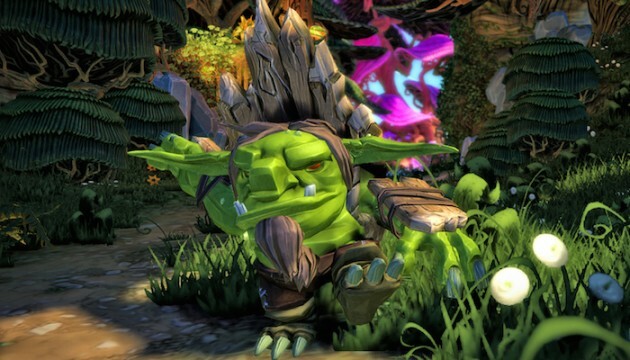 In a statement released on the Project Spark official forums, Thomas Gratz said that continuing to allocate man power to “behind-the-scenes work involved with keeping ‘Project Spark’ up and running with meaningful updates” was no longer feasible, especially as a large portion of the development team had been transferred to “other projects” last year. This was an extremely difficult decision for our team that we do not take lightly. When ‘Project Spark’ transitioned away from active development last fall, many of our team members moved to other projects within Microsoft Studios. While this means there have been no layoffs at Microsoft, it also means it’s simply no longer feasible to continue the behind-the-scenes work involved with keeping ‘Project Spark’ up and running with meaningful updates and bug fixes, so we have come to this hard decision. Often compared to the likes of Microsoft’s own Minecraft and Media Molecule’s LittleBigPlanet, Project Spark enables players to create their own interactive experiences including games and movies from a blank canvas and then share their creations to other players by uploading them to dedicated servers. Microsoft has already pulled Project Spark from its Xbox and Windows Stores, and the servers will be taken offline for good on August 12, at which point, new stages will not be downloadable. If there’s anything you want to save for the future before that date, Microsoft encourages you to save your favorite content before the closure date.